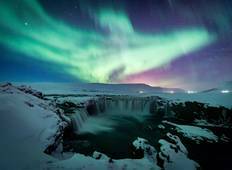 Explore a wide diversity of cultural tours in Iceland Northern Lights tailored to suit your taste and thirst for adventure. We have 9 tours that vary from 5 days to 8 days. With the greatest number of departures in February, this is also the most popular time of the year. "The trip was amazing. The accommodations in Reykjavík were tight quarters but clean...."
"First of all our guides “Hawk” for two days and Oliver for three days were excellent...."
"Great trip covered everything and the hotels, food and guide Rosa were amazing. Would..."
"The tour was well organized and Carl was very knowledgeable and accommodating. The..."
"Villi was superb. Loves his country and enjoys showing it off. 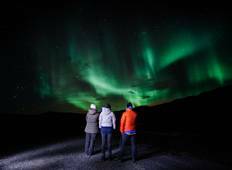 The itinerary was..."
"Iceland has always been a dream destination of mine. You see so many photos of the..."
"On The Go partnered with GJ Travel in Iceland to provide and all-around AMAZING experience...."
"The combined 5-day trip (3 days to the south and 2 days to tbe west of Iceland) was..."
"Yes it was what I expected. It's not a glam tour, and you do have some long drives..."
"Iceland is a beautiful country in its own right. I saw and photographed multiple..."
"Amazing! Fast-paced and definitely not as much time to really get to experience everything..."